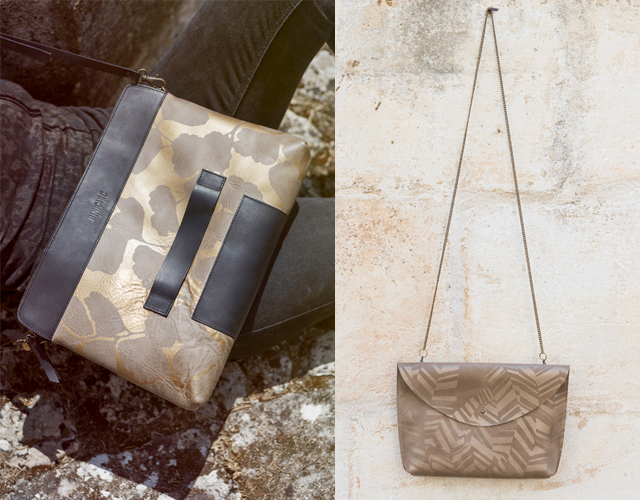 Refined and traditional, yet eclectic, sensual and contemporary; our bags are easy to live with. Like good art or wine, they are timeless. For this new collection — the Solivera — we wanted to capture the tones and textures of nature, especially the stones, minerals and ground cover in all of its glorious variations and subtleties. 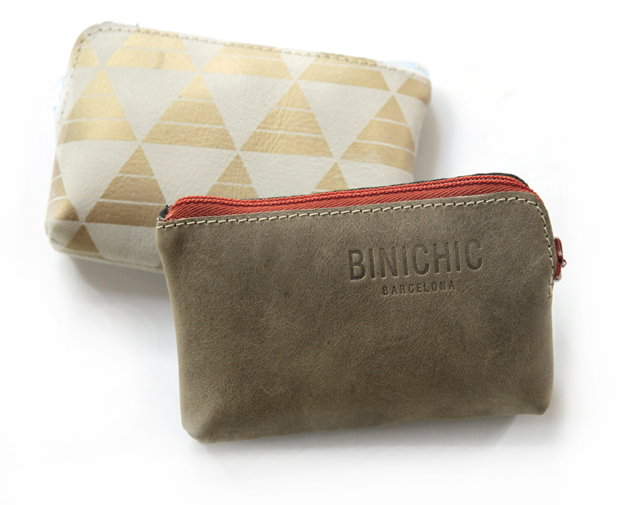 The inspiration came from a need for sturdy, functional everyday bags, with that special touch of BiniChic. 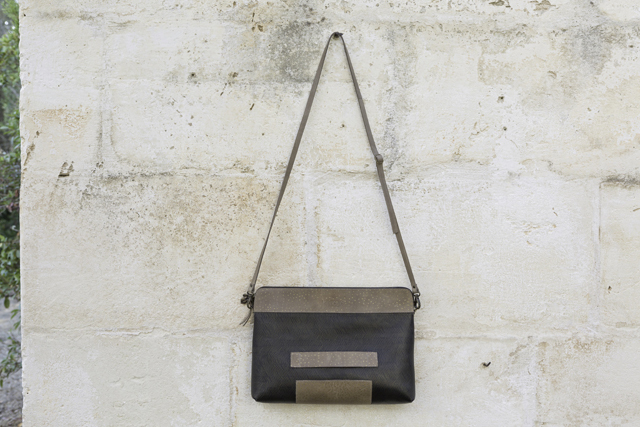 We wanted each bag to be a precious object — with its raw details part of the timeless design. 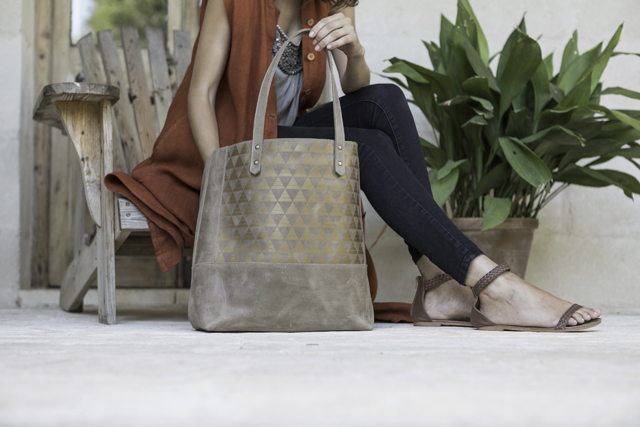 Our newest collection uses a bovine leather which is soft and supple to the touch, yet so thick and beautiful it doesn’t need lining or stiffeners. 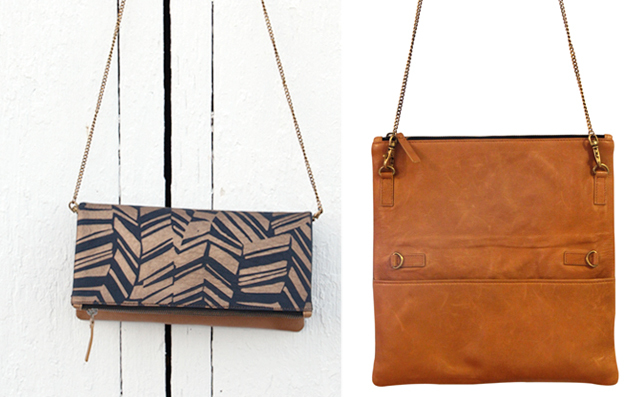 The body of the bag is pure hide, which we print on both sides instead of lining. This leather is ready for a busy life: it can be washed and buffed, resists stains, and develops a beautiful patina over time. 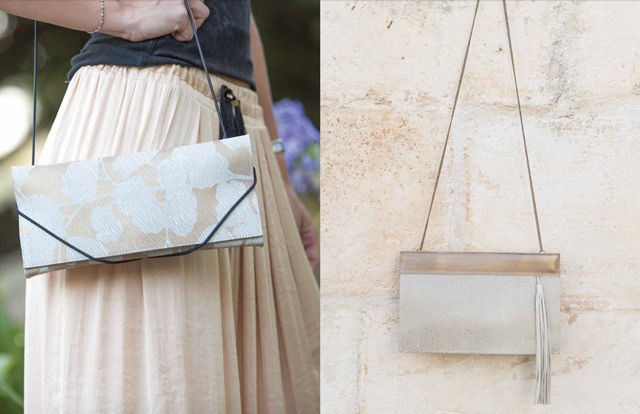 We loved working on the photos for this collection with the established photographer from Menorca, Jordi Escandell. In fact, it is the same leather used to make the trendy Menorcan sandals — avarcas. 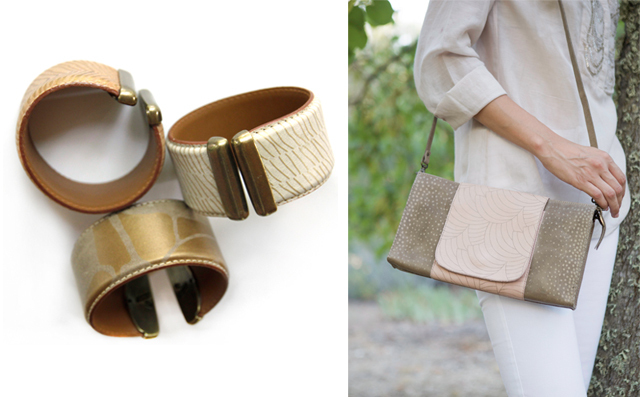 Our designs are rooted in craftsmanship for today’s world: made in the Mediterranean by artisans. 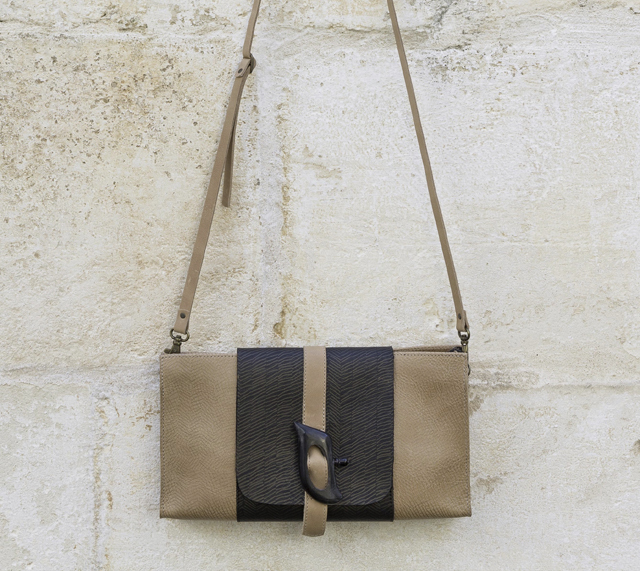 The bags are simple in design and natural in materials. Most stitching and seams are on the outside, revealing the raw edges and impeccable craftsmanship. The bags are accented with unique hand carved pieces of bone (off white) and horn (black) accessories. 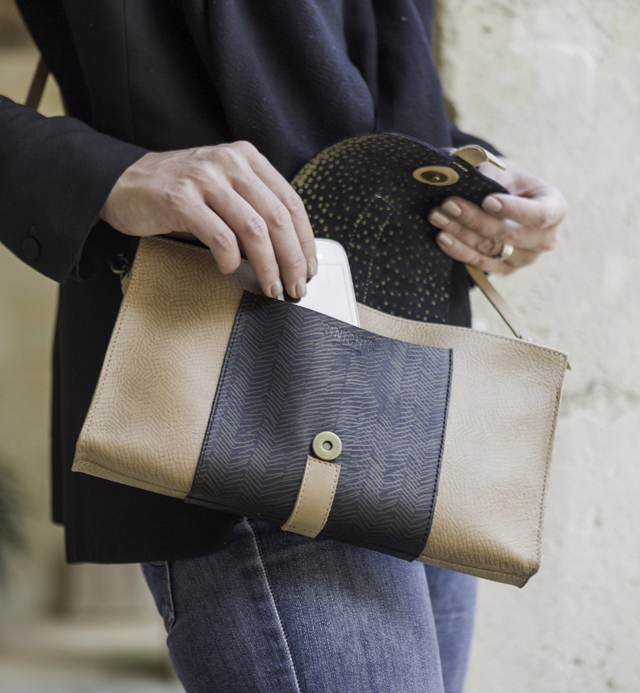 Susan worked with artisans to make them years ago, and just discovered them in her archives in Menorca. We are excited to offer this limited edition. The palette is neutral — fresh from the Mediterranean — colors which can layer together or work on their own. Ebony, Natural Tan, Stone, Marble (shade of off white) and Indigo. They work in any season, any climate. 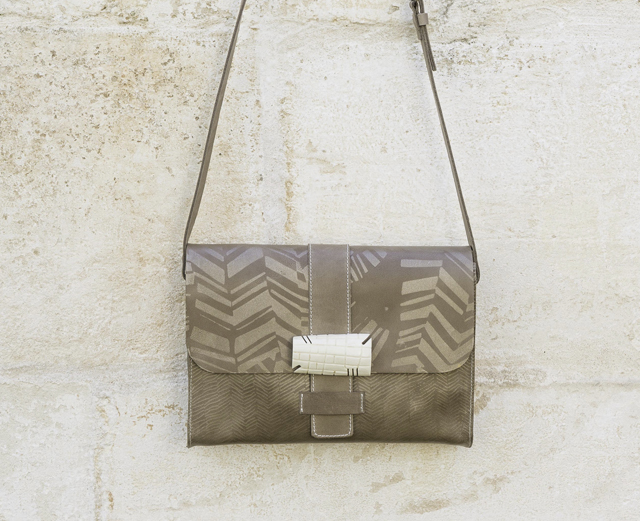 The prints are textures from nature and classic geometric patterns. 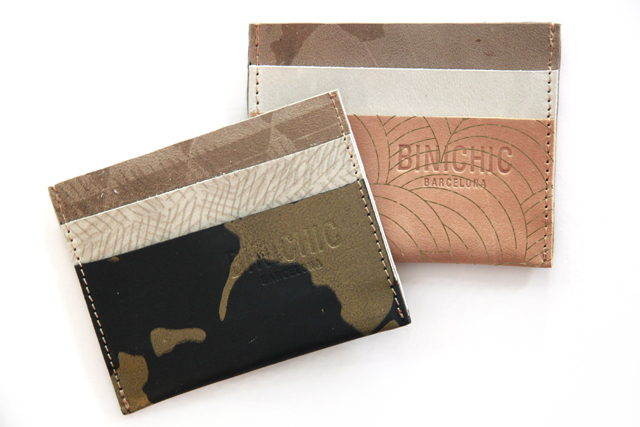 Because they are printed by hand here on the Island, each piece is unique, with its own look and personality. We find beauty in the small imperfections. 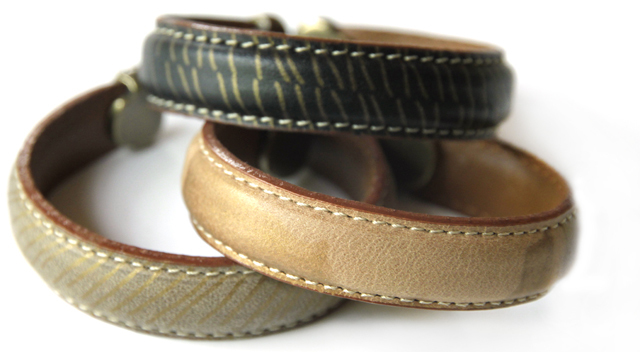 Metallic inks combine with matte leather to produce the layered look and feel of minerals, stones, wood, earth. They are like precious primitive icons. They embody that combination of opposites we find in nature. The natural, the raw, the antique meets the refined and designed, contrasting rustic and rich materials. As you can imagine, hides are not regular pieces like a piece of cloth might be, so we had to find a creative and useful way to make use of the scraps we collected after cutting out the main collection bags. We have been making these pieces with the already-printed “scraps”, making each one a unique combination of prints and hide colors. However, in the tradeshows we participated in this past summer, they have become so popular that we now have to buy the hides especially to make these items! A few items in the collection are made with lambskin. 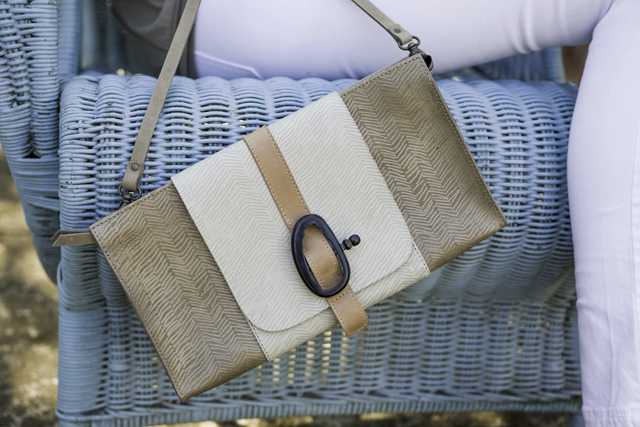 The Cora bag is very versatile and can be worn both as a clutch and as a large pouch by just switching the placement of the clasps. Following photos by the wonderful Patrushka. These bags will soon be available on our online store, so check back soon! We also have special prices for our store newsletter suscribers, so make sure to sign up and stay up to date with our news and discounts. Enjoy your BiniChic bag! This entry was posted in Uncategorized and tagged accessories, artisan, bags, binichic, boutique, design, fashion, Mediterranean, Menorca, vernacular, wabi sabi. Bookmark the permalink. Susan and Ona, the new Solivera line is fabulous! Each piece is so beautiful. Congratulations to both of you!